Born in communist Poland in 1981, Kinga Tanajewska began riding bikes in the 1990s, and in 2017 she made the momentous decision to leave her job and travel the globe on 2-wheels. Now an ambassador for overland travel website Motorcycle Diaries, Kinga has been blogging about her bike travels since 2013, around the time she moved halfway round the globe to Australia for work, where she also took the chance to do a solo ride around Oz at the same time. In 2015, sadly her beloved F800GS was written off in a head-on collision, which also left Kinga with multiple fractures. However, this turned out to be a life changing event, because once her compensation from the incident finally came through two years later, she decided it was a ‘now or never’ moment, and set off on her shiny new F800GS nicknamed ‘Chille’ for an amazing global adventure. 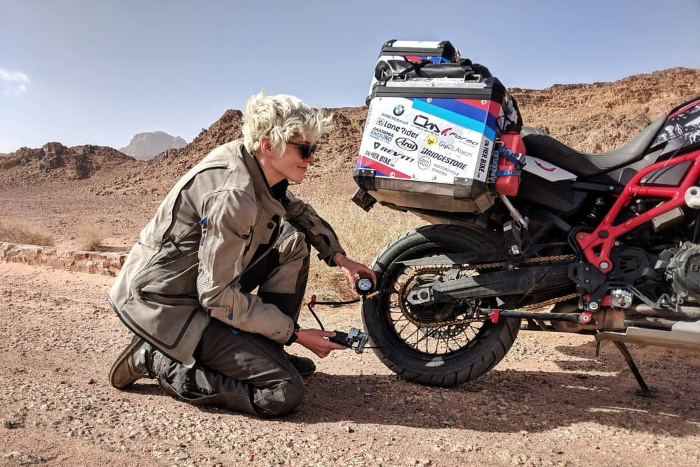 This year Kinga will be crossing the African continent on her bike, and on her way she will also be testing the performance of Bridgestone’s new Battlax Adventurecross AX41 - a dual sport tyre aimed at adventure motorcycles, for a combination of both on and off-road use. 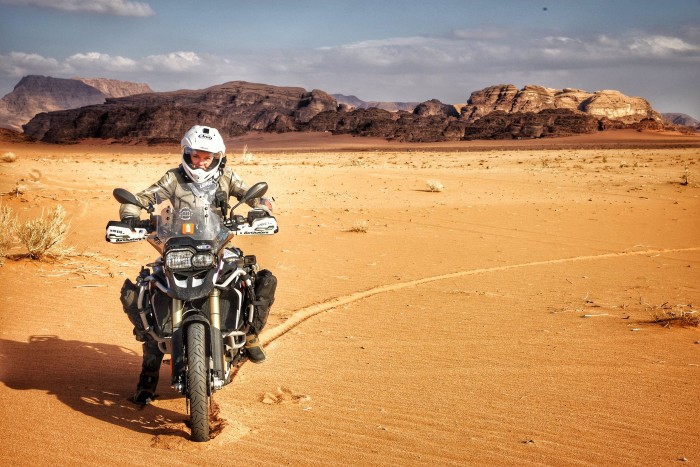 More recently she has also been using the more road oriented Battlax Adventure A41, now an approved OE fitment for the GS range, as she crossed the formidable but stunning landscapes of Jordan in the Middle East. We look forward to seeing what she thinks of the new rubber! You can check out her latest news and updates at http://onherbike.com. or by following her on Facebook. Check out the Bridgestone adventure range here.